Seve Ballesteros, designer of the Royal Óbidos golf course promised golfers “a great and wonderful place” and indeed he kept his promise. Set in a beautiful location next to the ocean and surrounded by the green landscape of the Silver Coast, Royal Óbidos is a Par 72 Championship (6400mts in length) course with long fairways and stunning seaside views making this magnificent layout not only an wonderful course to play but also a true test of golf for players of all levels. 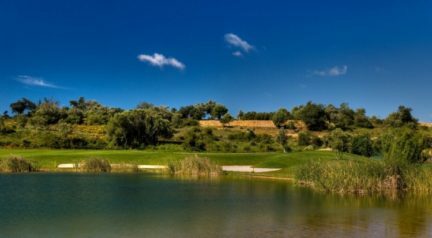 The first hole, a difficult right handed dogleg, heads north, setting up a spectacular combination of holes overlooking the lagoon (Lagoa de Óbidos). 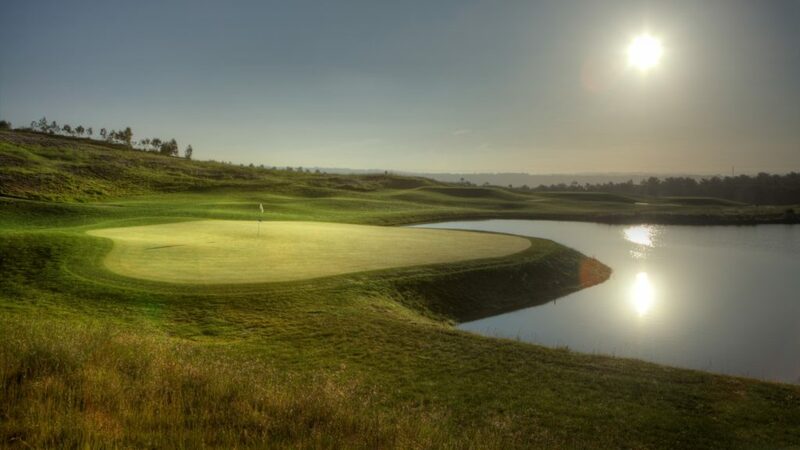 The feature hole of the front nine is the 5th, an exciting 520m par 5, with a final approach into a large undulating green surrounded on three sides by water. The second nine holes lie in the central and southern section of the development. Six of the holes meander between an intricate ecosystem of lakes interconnected by cascading streams. The highlight of the back nine is the 12th, a 420m par 4, where the golfer has to negotiate both the drive and the second shot between and over two lakes and the curving stream. 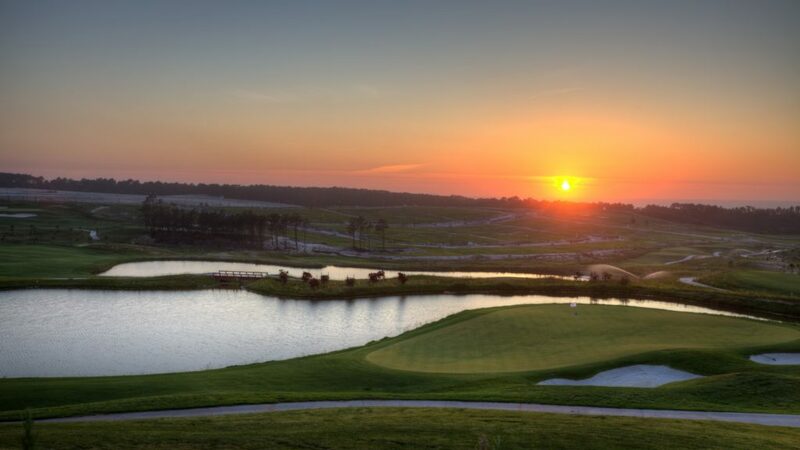 The clubhouse, sumptuously appointed with restaurant, spike bar and pro shop, is ideally located and overlooks no fewer than 9 of the 18 holes. 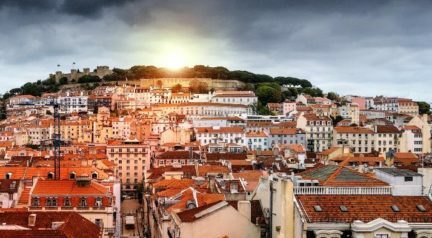 Sitting out on the generous terrace, owners and visitors to Royal Óbidos will enjoy spectacular views of the golf course and the cascading lakes and streams, with the Atlantic Ocean “and some truly wonderful sunsets” in the background. 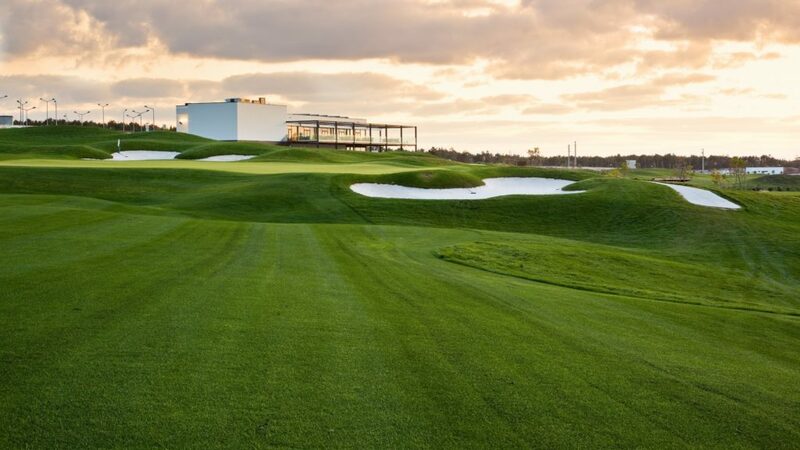 Book Royal Obidos with JustTeeTimes.